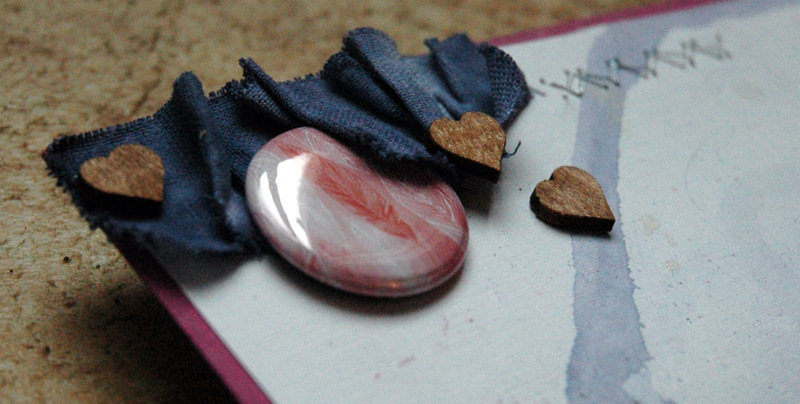 A while back I blogged about a new class series I was teaching called Distress Renewed. This is going to be bimonthly and a few weeks ago we had our second class. This one was all about Dylusions Ink Spray – one of my most fave products! Love how water ghosting works on these! 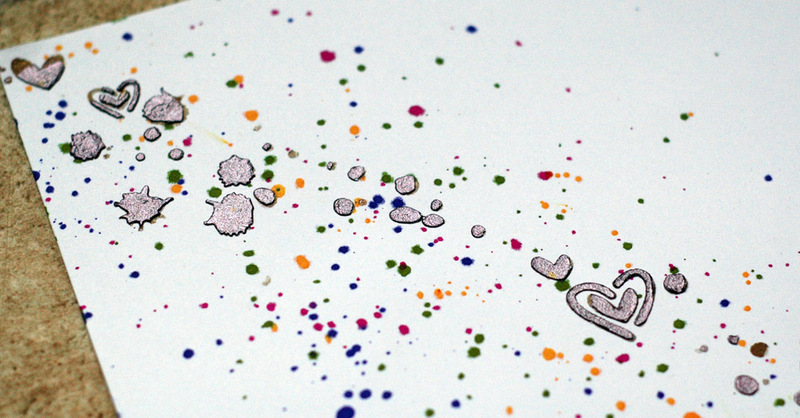 And that’s it – fun times getting messy and inky! 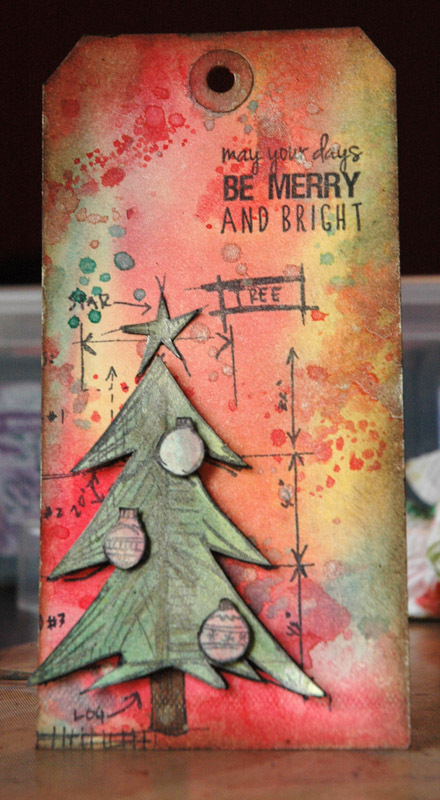 Next class will be all about Distress Paints and I can’t wait to play! I love fussy cutting! 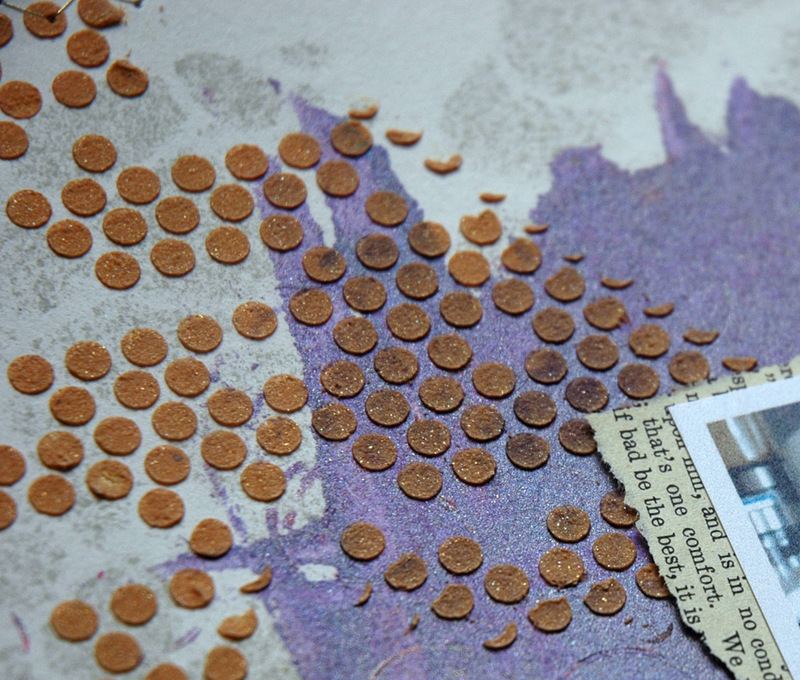 I love cutting out all those little tiny shapes and building something up. I know, most of you think I’m crazy – but I’m going to show you how to do it and not hate it! 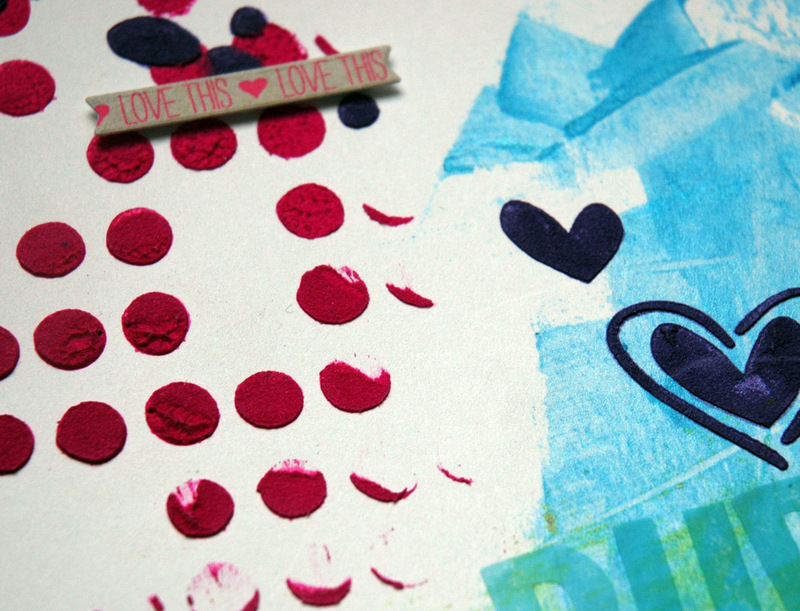 Go check out the Scrapbook Steals Blog for my post full of tips and techniques! Remember back when I used to do a Tuesday Technique? They were fun, right? Well, I didn’t have time to keep doing those each week but luckily for you, Scrapbook Steals does one each and every Tuesday on their blog! Today, and once every month, I’ll be the How To-sday blogger over there and today is my first post – Distress Ink backgrounds. Go take a look and try it out – fun times will ensue, I promise! 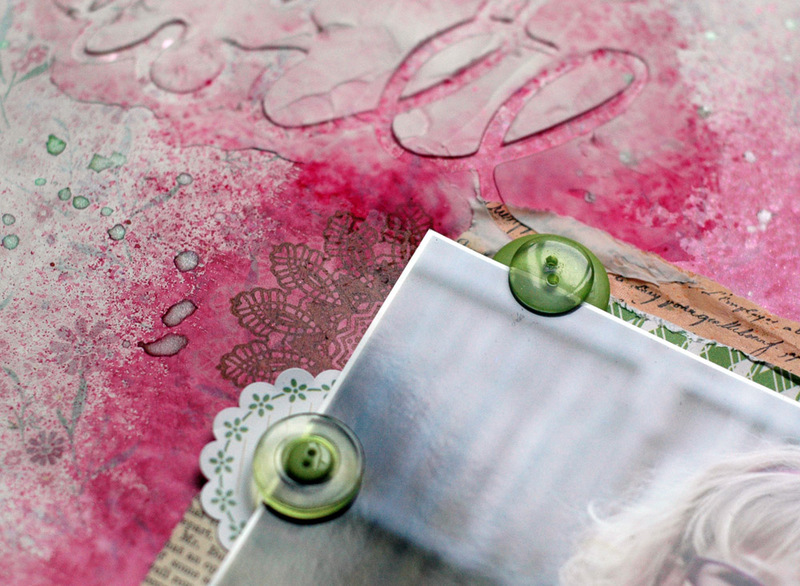 I have a brand new class debuting this weekend at The Paperie – Perfect Pearls Playtime! 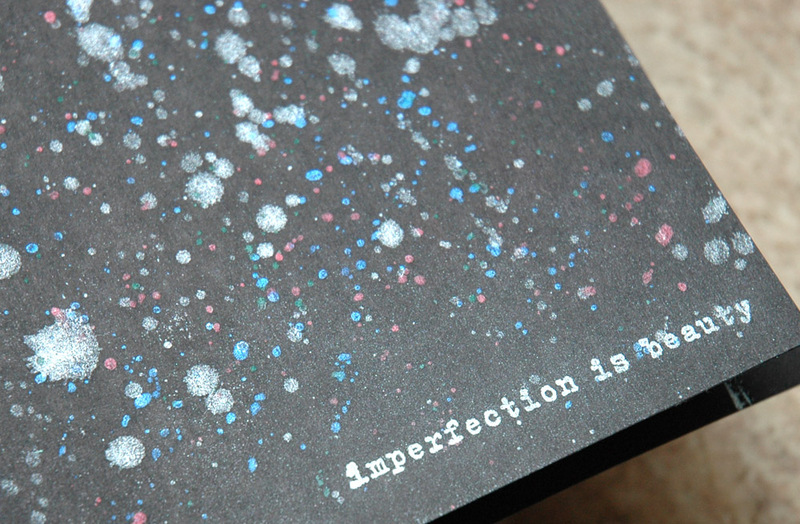 I’ve had lots of people ask me what else they could do with Perfect Pearls so I designed a tag mini album with space left for pictures or technique practice. We’ll be working on black and manila Ranger tags and using the holiday release of powders from Ranger – Celebration. Plus, everyone gets a Celebration kit to take home with them, as well as full instructions for each of the seven (yes, 7!) techniques we’ll be doing. To make the day even better, the Paperie is following up the class with a crop night. So you can take the class and then stay and play some more until midnight! And since class doesn’t start until 2, you have the morning to do all those other weekend things that need doing. Can’t make it to class? We can get you a kit and you can still go to the crop night anyway! This album is specifically designed for people who own a bunch of powders and also for those who don’t even know what they are so don’t feel intimidated – come play with us! I just love me some Primary Elements! I’ve mentioned here, just once or twice before, how much I love Luminarte products – Silks, Twinkling H2O’s, Modeling Creme. And I have something else to add to that list: Primary Elements. Primary Elements are artist quality paint pigment, with the expected Luminarte shimmer. There are so many different ways to use them and I demonstrated several at the last Paperie Retreat, but I’m only going to highlight two here. I went fairly basic, just one colour of Primary Elements mixed into Clear Medium, then painted on the cardstock to make a photo mat. The Clear Medium is acrylic paint base, with a built-in binder so you don’t lose any of that fabulous shine! It’s completely colourless until you add your pigment. 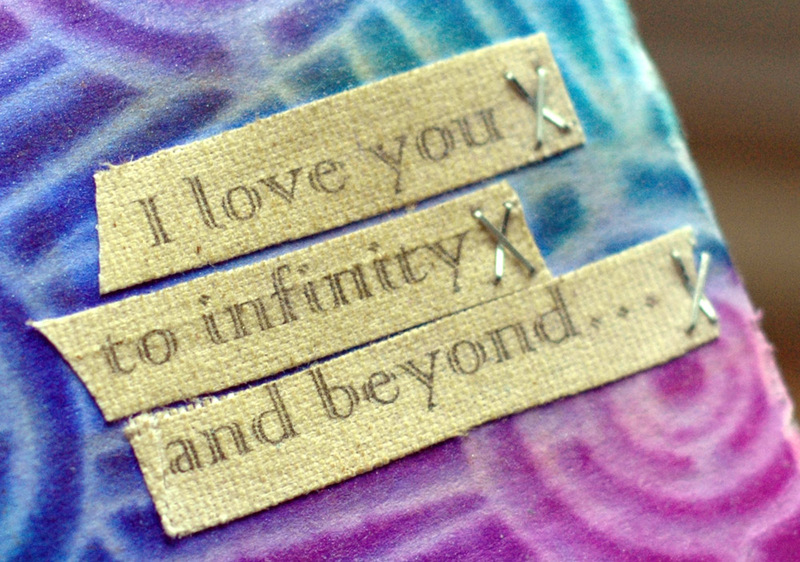 You can mix your own colours and intensity of colours, and how much or how little you want, totally customizable! It made a great purply/silvery colour which looks awesome. During the demo I showed how to mix the Primary Elements into the Clear Medium or Molding Paste, how to dilute or intensify the colour, and how to mix your own shades. These next two LO were the scratch papers I used and then decided to finish off. 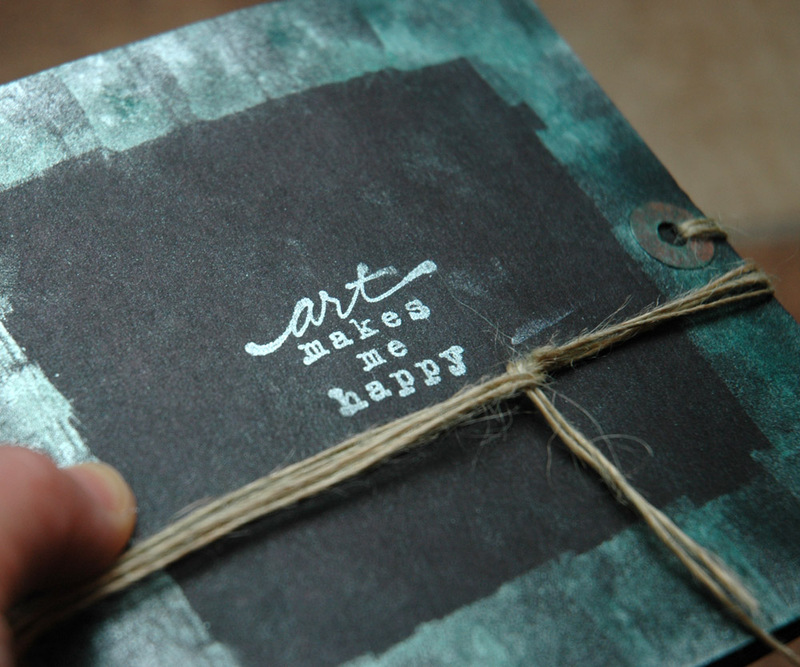 I love the texture of the molding paste on this one! There are tons of colours in the Primary Elements line and they can all be mixed to make hundreds of other colours. The Paperie carries both the pigments and the Clear Medium plus they can order any colours you might like so go check out the website and then get some and go play! If you want to see and touch these LO’s in person, I’ll be bringing them to the Paperie to display so pop by to check out their brand new location at 10 Pippy Place and take a look. A while back I made this card and said that the back was so cool I was going to make another one and use the back as the front. Isn’t that the coolest? Love how this technique works; I think it’s going to have to be part of a class sometime soon. Basically, you need molding paste, water reactive mist, and lots & lots of water. Another upside of this card? Fabulous paper towels to use on upcoming cards! A few days ago I showed you how I had an idea for these pages, went through an epic failure, and then found redemption on better and bigger paper. Today, you get the final product! 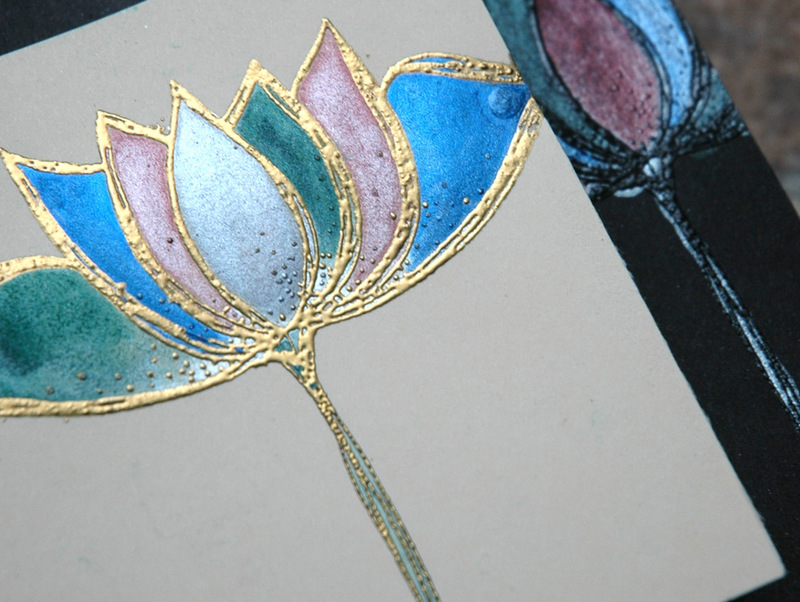 I first sponged glossy gel medium through a stencil, then added puddles of Distress Paint to the edge. I misted until I ran out of water (that’s only a slight exaggeration!) and let the colours run down the page. 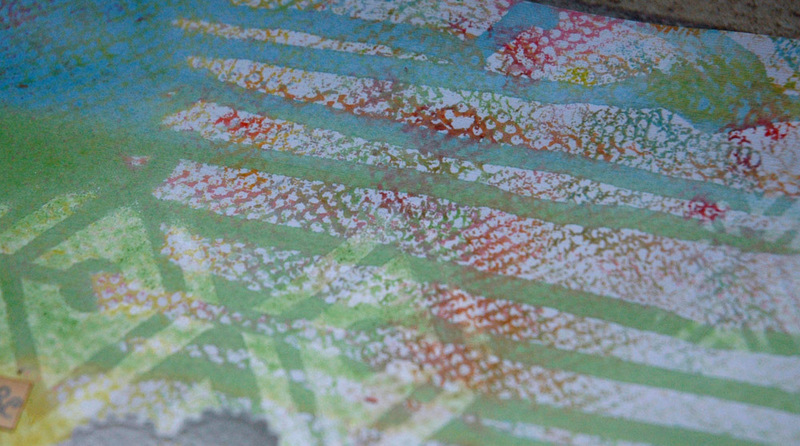 The texture is from rolling paper towels over to blot up the excess water. How cool is that?!?! 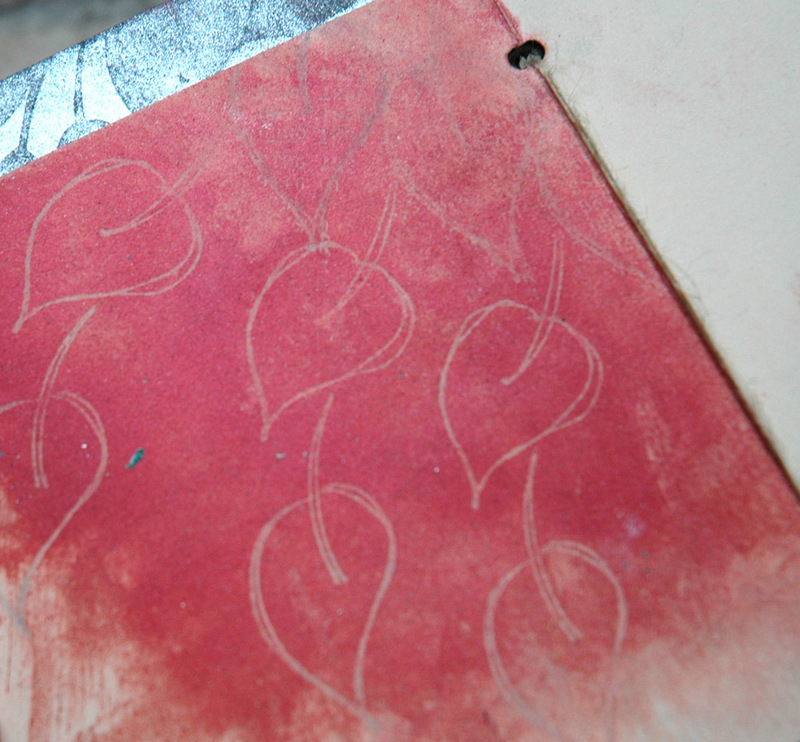 Once again you start with glossy gel medium through a stencil, then add puddles of paint to the middle of the page. 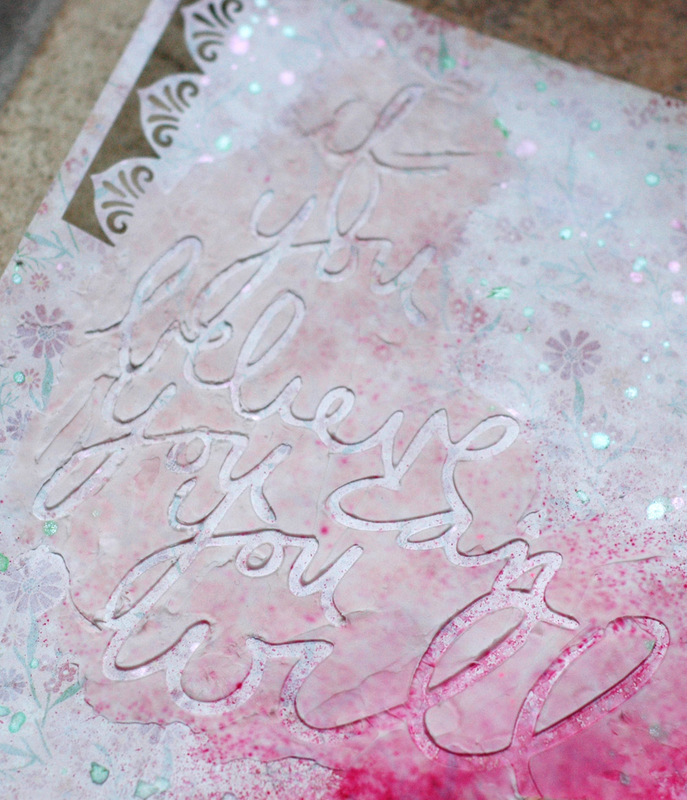 Mist with water and tip the paper to allow the paint to blend and then run in different directions. So there you have it – a class LO all the way from idea to final product, with a mini tutorial to boot! 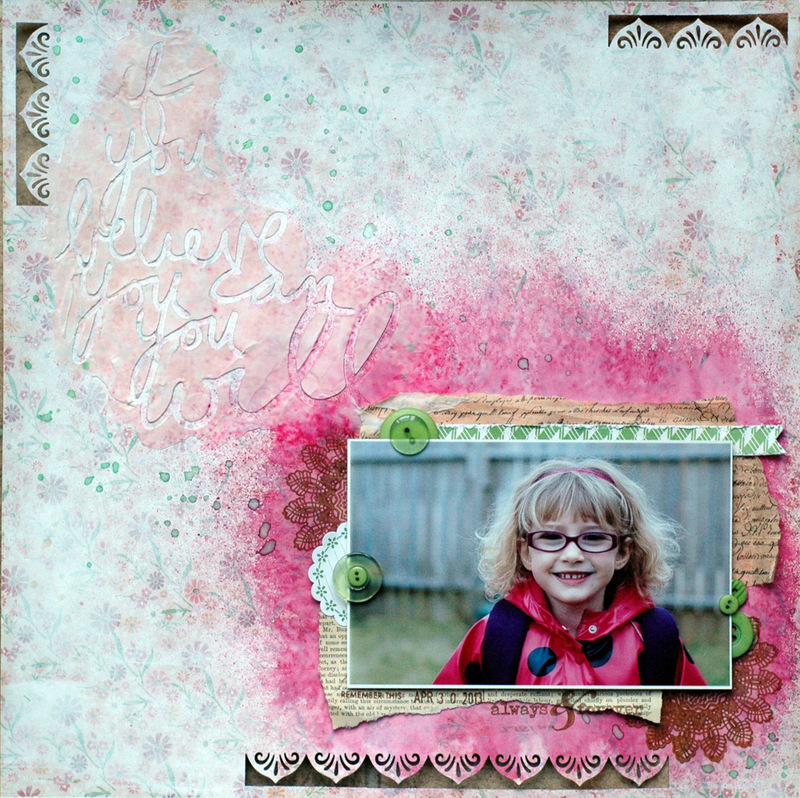 Hope you enjoyed, I’ll be back later this week with more ICAD’s and the final LO’s from the June/July Paperie Card Kit. 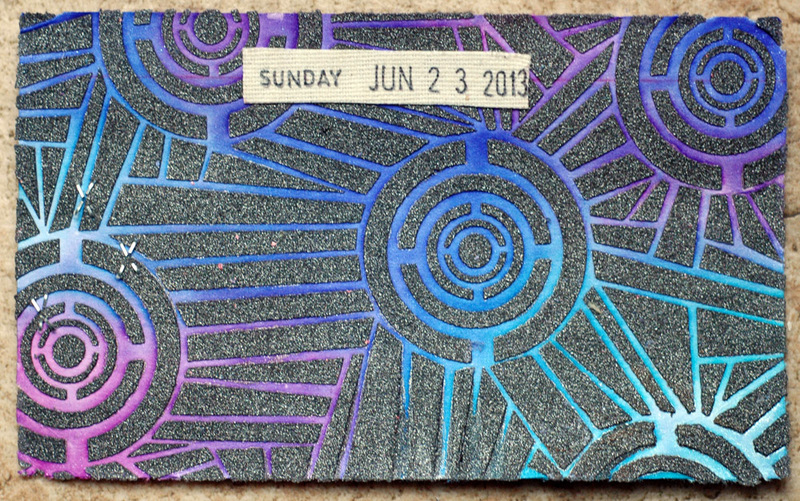 This past Sunday was another Yearlong Album class and we played with gesso, Dylusions Ink Spray, and modeling paste. It was fun to see how much the gesso could change not only the look of the background page but also how it reacted to and played with inks. Mine was very subtle but I love how the paste picks up the mist colour as it dries! And look at the shimmery spots – Luminarte Radiant Rain mist is *so* shiny! Of course, to finish it all off I used lots of layers of tissue, book print, stickers, stamping, and buttons – love the dimension! I’ll be back tomorrow with the second page – I started it in the class as a demo of sorts so even the class peeps haven’t seen this one completed yet!